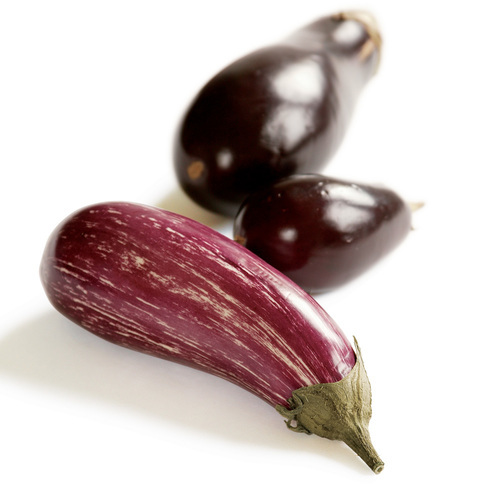 Throw these sweet little eggplant on the grill alongside steak or lamb, but keep a close eye on them while grilling. Because they vary in size, cooking times may vary, too. Prepare a medium-high (400°F to 475°F) gas or charcoal grill fire. Lightly season the cut halves of the eggplant with salt and let sit while the grill is heating. 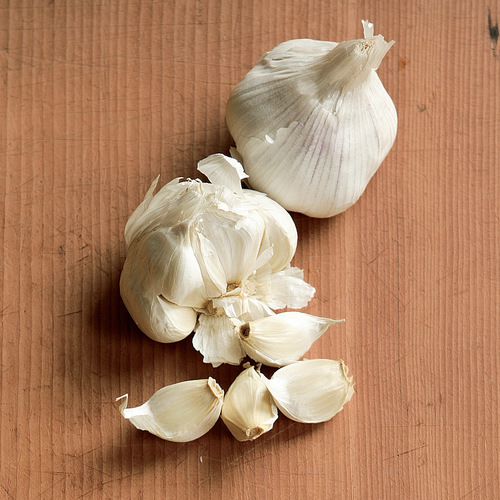 In a 1-quart saucepan, cook the oil and garlic over low heat, stirring occasionally, until the garlic is golden, 3 to 4 minutes. 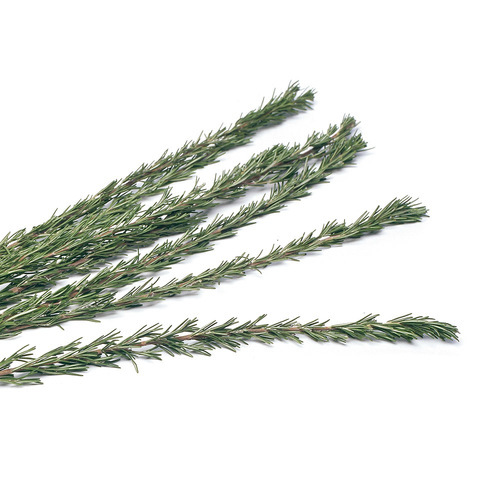 Remove from the heat, add the rosemary, and set aside. Brush the eggplant halves all over with some of the oil mixture. Place them on the grill grate cut side down. Grill, covered, until grill marks appear, 1 to 5 minutes. Using tongs, carefully flip the eggplant and grill, covered, until completely tender, 1 to 3 minutes more. 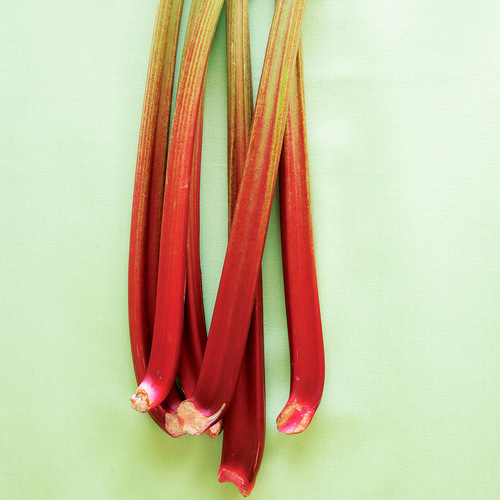 Arrange cut side up on a serving platter. 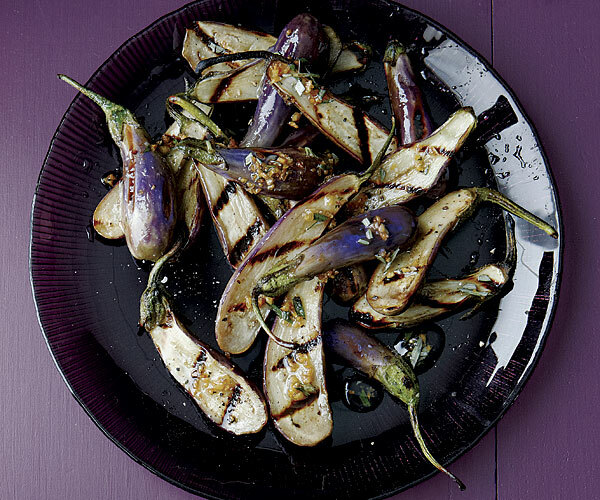 Whisk the lemon juice into the remaining oil mixture and drizzle over the eggplant. Sprinkle lightly with salt and pepper, and serve. I mostly followed the directions, except I had to do it in a skillet since I don't have a grill. I put in more rosemary than called for, and I think more still would have been welcome. I cut the olive oil by a fair bit since this was going into a pan and not a grill. The end result was still quite oily--not in a bad way, but in a way that made me think I could cut some calories without missing much if I reduced the oil even further. Overall I loved the flavor combo--and so simple. The lemon juice at the end is key. I'm not a huge eggplant fan but I couldn't help but buy these beautiful little graffiti (fairy tale) eggplants at the farmers market. When searching for ways to prepare I stumbled upon this recipe. Glad I did! Will repeat. P.S. the smaller the baby eggplant, the better!